The digital transformation we’ve experienced in the past few years has enabled every organization or entrepreneur to legitimately vie for a place of authority in their industry through content marketing. A vital part of every content marketing approach, and an area most of us don’t think enough about, is the organization of those pieces of content on the “home base” of the organization – our website. 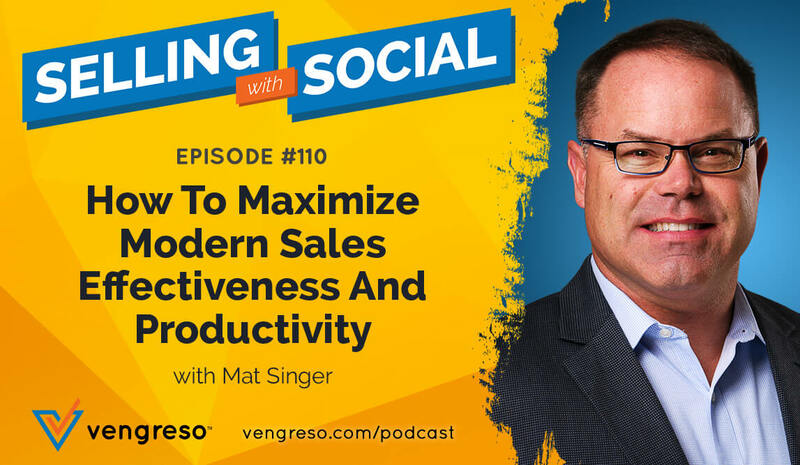 On this episode of Social Business Engine, Bernie speaks with Gaetano Nino DiNardi, Vice President of Marketing for Sales Hacker. He explains why doing a content audit periodically is an absolute must if you want your website to not only be discovered in search engines but also deliver a helpful experience and effective customer journey to site visitors. Content audits aren’t glamorous or trendy to talk about, but they are powerfully important. On this episode, you’ll learn the why and how of a content audit. 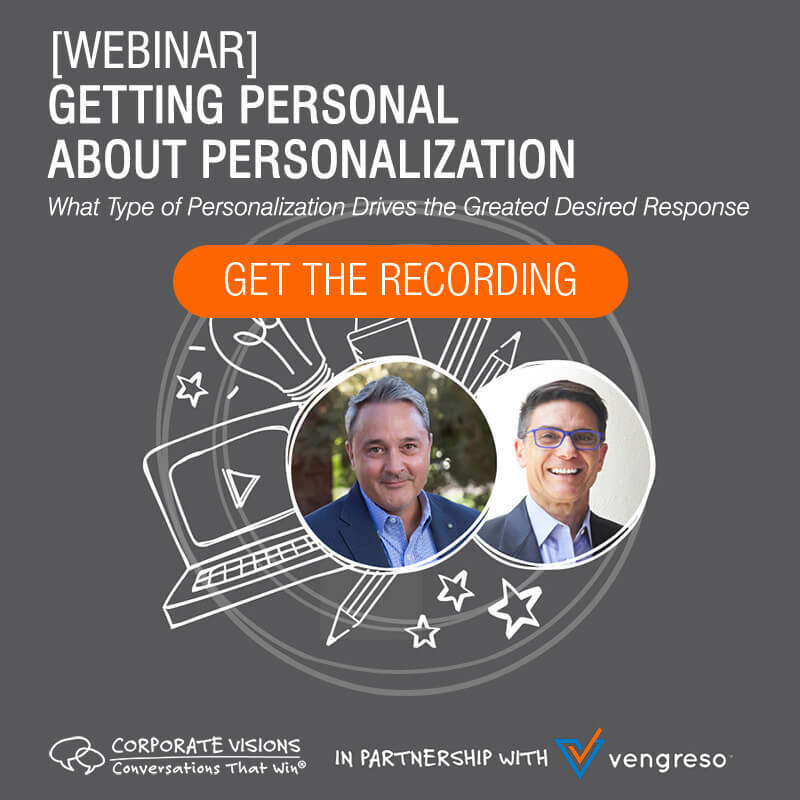 Gaetano delivers insights that will benefit even the most experienced digital marketer. The great content your organization is creating is meant to accomplish something, isn’t it? Your goal may be to establish and build authority, answer customer questions, or set the stage for a sales conversation. How do you know if those things are actually happening? The best way to find out is to perform a content audit on your website. It takes a concerted effort but it’s the only way you can know the facts regarding your content marketing and sales support results. 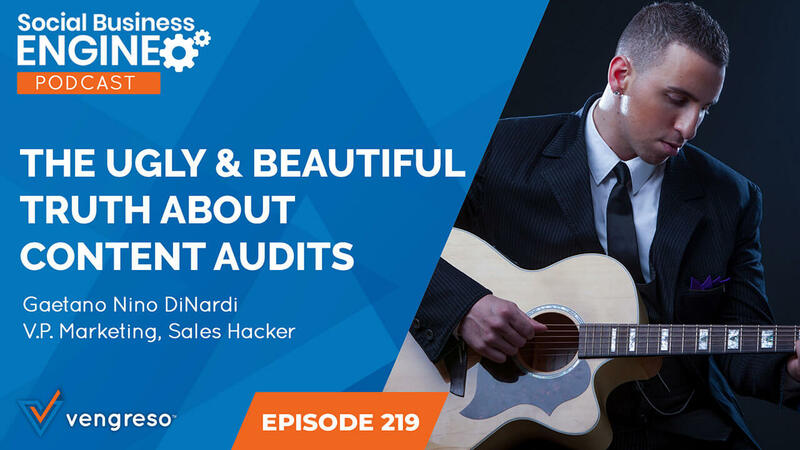 In this episode, Gaetano Nino DiNardi explains what a content audit is and how the practice can help you evaluate your content, refine your approach, and become more effective with your content marketing efforts. There’s no better way to evaluate and improve your content strategy than with a comprehensive content audit. Gaetano explains how to do it, on this episode. In this conversation, Gaetano mentions 8 challenges to performing a content audit – things like large libraries of content to be evaluated, quantitative and qualitative analysis needs, and simply knowing how to determine what is worth evaluating in the first place. Gaetano suggests you approach your content audit through 4 areas of focus: keyword optimization, content types, content topics, and the stage of the customer journey each particular content piece is meant to serve. This approach will enable you to locate and address the most important areas of your website that impact the customer journey, but more importantly will give you clear insights into what you’re doing well and what you are not doing well – so your team can strategically improve your content marketing efforts. How Often Should You Do A Content Audit, And How Long Is It Going To Take? Gaetano’s experience as a content and SEO specialist leads him to suggest that any website that’s been in existence for at least one year needs to have a content audit performed – and time and care should be taken to do it thoroughly so the effort is not wasted. If your website is 100 to 200 pages in size, you can expect around 40 hours to be required for an adequate audit. 1000 pages? 70 to 80 hours. If your site contains 3000 to 5000 pages or more, you can expect to spend over 100 hours, even using automated means of spidering and assessing your content. But Gaetano says you should not let the time factor dissuade you from starting. The benefits that come from an effective content audit will make the time spent well worth the effort. It’s not uncommon for an organization’s content strategy to be devised through marketing department brainstorming sessions. That’s OK, but only if there is real-world input from the sales team. The front line sales reps in your company should be asked about the actual pains and problems customers and prospects are facing. That information enables an accurate assessment of whether the team is creating content to address those problems. If so – great. How can your existing content be improved or complemented to enhance the customer journey or increase its placement in organic search? If not, you’ve discovered holes in your content strategy that need to be filled, and you know exactly where to start. Do you see the importance of a content audit to your overall sales goals? It’s the exercise that enables your organization to focus its content efforts on the topics that will attract the right people to your website and truly help the sales team serve more customers. [2:11] What IS Sales Hacker? [3:53] What is a content audit and why is it important? [15:58] How often should a content audit be done? [17:08] To what extent should the sales team be involved in a content audit? [19:20] How long does a typical content audit take to complete?